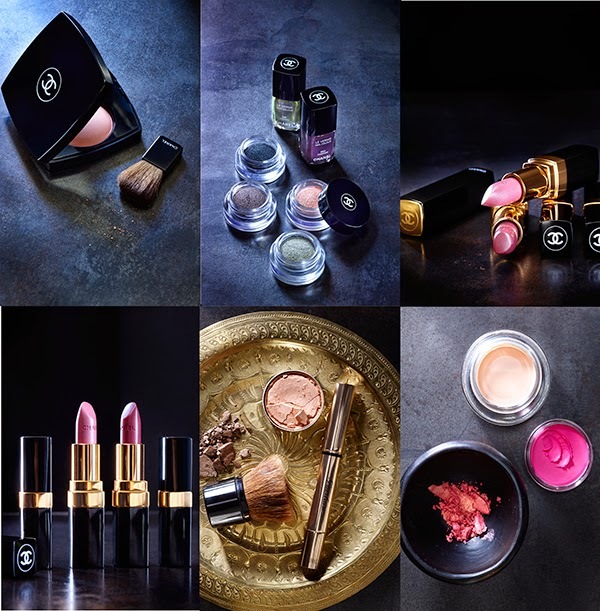 Chanel has always evoked an ooh and ahhh from anyone like myself who has grown up watching their glamorous grandmother or mother take out the black sleek compact or lipstick and apply luxurious color to their face. Chanel evokes that fantasy- of beauty and classic style. It was befitting that I collaborated with my french friend Philippine Scali (former creative director of Pottery Barn) on creating these images. Philippine travels the world, including frequent trips to Morocco to source beautiful things for a new interiors brand. So exotic! An award-winning commercial photographer specializing in food and still life. Leigh's work has been featured in numerous cookbooks and magazines, national advertising, packaging and catalogs. Her personal work includes a series of abstract landscapes. She lives and works in the San Francisco Bay Area. all design layouts are created solely for LeighBeischPhotography blog. Kindly link back to the original post, or drop me a line if you'd like to use or re-post any material. Thank you!